A landmark of Afro-centric jazz in the 70s – and the first album by this famous underground collective! 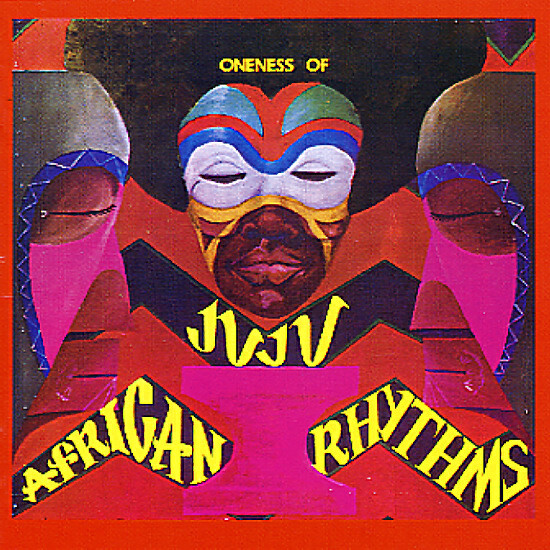 Oneness of Juju were a Washington DC-based group that grew out of the ashes of the Juju avant jazz ensemble – formed in the culturally rich African-American community of DC in the 70s, with spiritual and political aspirations that stretched far beyond the average funky combo. This first album is a masterful blend of percussion, jazz, and a slight bit of funk – alternating vocal tracks with harder-hitting jazz instrumentals, all held together under the leadership of sax player Plunky Nakabinde. The album's one of the greatest independent soul jazz albums of the 70s – and it's filled with great tracks, such as the breakbeat classic "African Rhythms" and "Liberation Dues". Other titles include "Kazi", "Funky Wood", "Don't Give Up", "Poo Too", and "Incognito". Expanded UK version also includes 2 bonus tracks – "African Rhythms (45 mix – parts 1 & 2)" and the previously-unreleased "Aforbeat". © 1996-2019, Dusty Groove, Inc.